Some of my favorite books from 2017. This week I take a look back at some of my favorite books, movies, and documentaries from 2017. These are not necessarily things that were released in 2017, though some of them may have been, but instead are works that I read or watched in 2017. Some may not be recent at all. But the one thing they all have in common is that I really enjoyed them. Perhaps something in this list will catch your interest. Some of the links below are affiliate links and I will be compensated if you make a purchase after clicking on these links. This is at no extra cost to you. 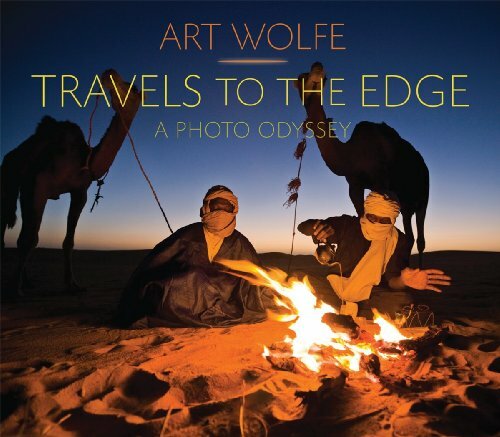 This is the greatest collection of Art Wolfe’s photographs I’ve seen. The photographs stretch across his entire career, with examples of wildlife, landscapes, indigenous peoples, and more. Head over to my review to see samples from Earth Is My Witness. It has been published in 2 formats, a larger one which I own and a smaller more affordable version. Highly recommended! 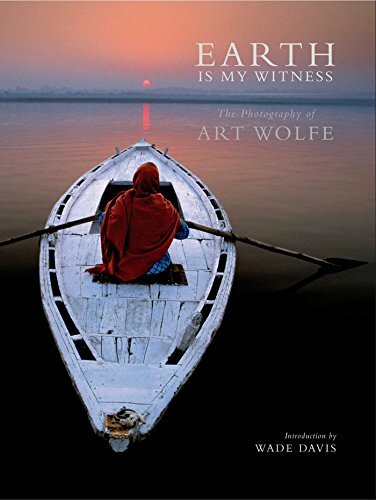 Photographs From the Edge is a great companion to Earth Is My Witness. Where the other book focuses more strongly on the photographs, this book focuses on the stories behind the photographs. It is organized chronologically. 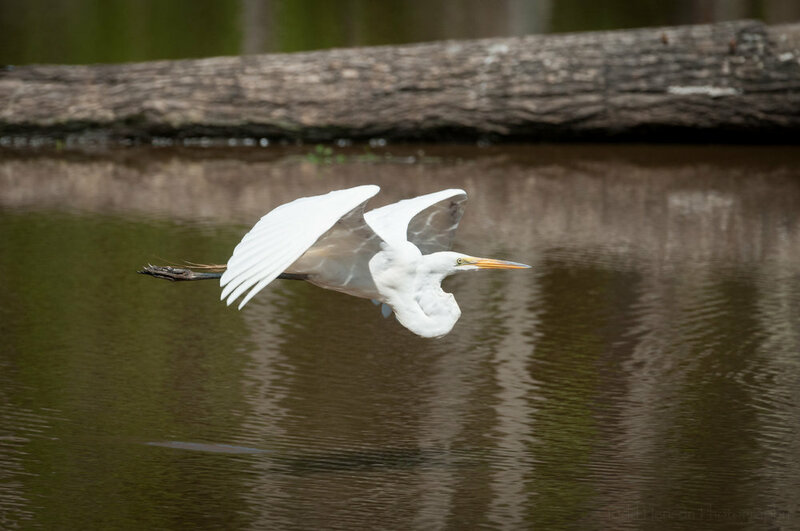 Each photograph includes a short story about the creation of the photograph, along with a short photo tip and information about the nature of the photo. Travels to the Edge is the companion to the television series, containing many of the photographs created on the show. Having watched the series I love going back through this book and viewing the photographs they describe creating. See my review of Travels to the Edge for more details. This is a great book for any fan of Ansel Adams work. It contains 400 photographs chosen by Andrea G. Stillman, Adams’ longtime assistant, that she feels best represent his work. The book covers his entire career, and includes a notes section in the back with lots of great info on the photos and Ansel Adams. 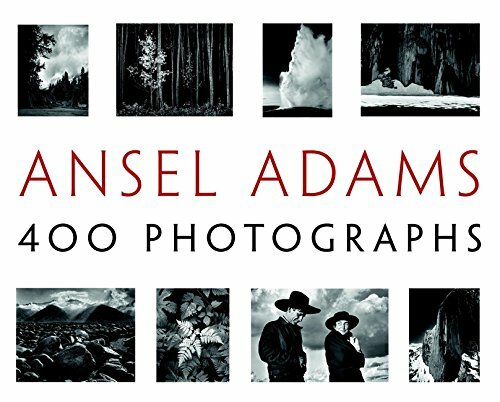 Head on over to my review of Ansel Adams: 400 Photographs for samples from the book. 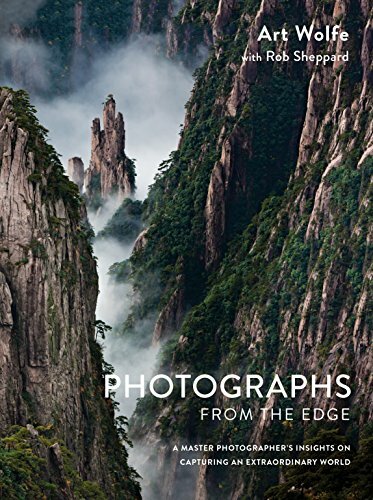 Annie Griffiths Belt is a National Geographic photographer, and reading this book is very much like reading an issue of the magazine dedicated to one photographer and her story. It is an autobiography of sorts, telling her story through her words and her photographs. I received Mozart’s Starling through a goodreads giveaway. I really enjoyed this book. The author had heard the story of Wolfgang Amadeus Mozart’s pet starling and in a flash of inspiration decided to adopt her own starling. 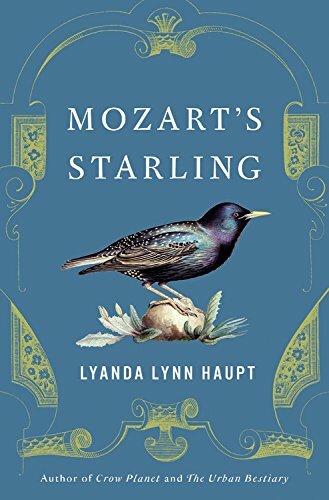 The book weaves in her experiences with facts about starlings and the story of Mozart’s starling. A very entertaining and charming book. Read my longer review of Mozart's Starling. 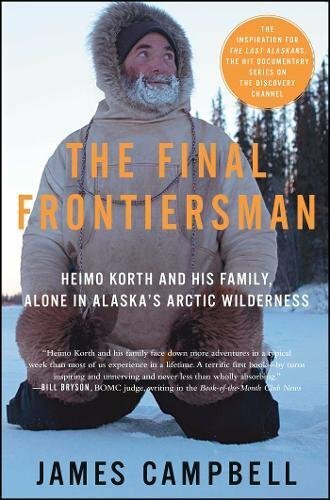 I listened to the Audible version of The Final Frontiersman, which tells the story of how Heimo Korth moved to Alaska and started a family while living in some of the more remote regions of the state. This book came before Braving It, which I had already read. I immensely enjoyed both books. I received this book through a Tor.com giveaway. Pan’s Labyrinth is one of my favorite movies, and this book does a fantastic job of documenting the creation of the film. It is full of visuals, from photographs to storyboards to concept art. Highly recommended for any fan of the film or of Guillermo del Toro’s work. 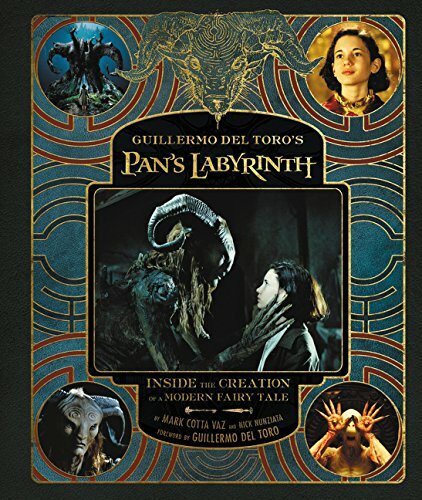 Check out my review of Guillermo del Toro's Pan's Labyrinth to see more. 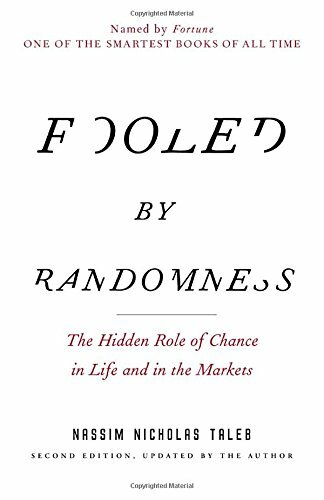 This was a fascinating look at how large a role randomness can play in the world. The author primarily comes from the world of investing/trading so much of the book centers on examples in this area, but he does add other examples, as well. This can be a challenge to read. The author is very well read and educated and the tone and style he uses in the book expects you to be able to follow along. I often had to lookup some of the words or concepts he brought up, but I still enjoyed the book and look forward to reading his other works. 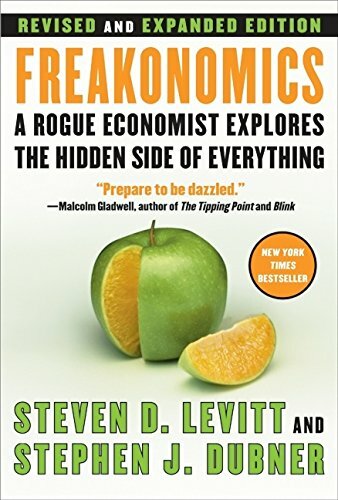 Freakonomics has been around a while, but I just got around to reading it this year. And I found it fascinating. It’s written by an economist who uses his skills to address questions that are far outside what most of us would think of as economic topics. Things like finding cheating teachers in schools, or what effect Roe vs Wade might have had on violent crime. Each chapter is a new topic, and there are some interesting ones. Check it out if you’ve never read it. 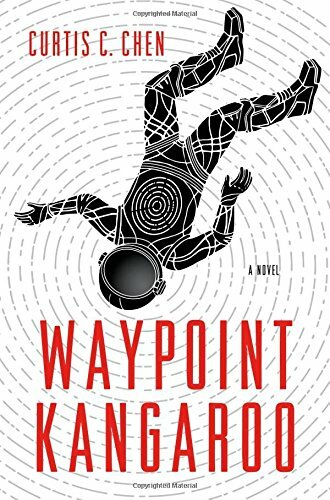 I received Waypoint Kangaroo through a Tor.com giveaway. Kangaroo is the code name for a spy with a special ability making him an important asset to the government. The story is set in the future with the majority taking place aboard a huge interstellar cruise ship. The book has a great sense of humor and sometimes reminded me of Inspector Gadget. Fun read. There is now a sequel called Kangaroo Too. I received Collecting the Dead through a CriminalElement.com giveaway. This book follows Magnus Craig, nicknamed Steps, who is a Special Agent with the FBI. He is known as The Human Bloodhound, as he is sent in to track down criminals and victims no one else can. But there is more to Steps than meets the eye. 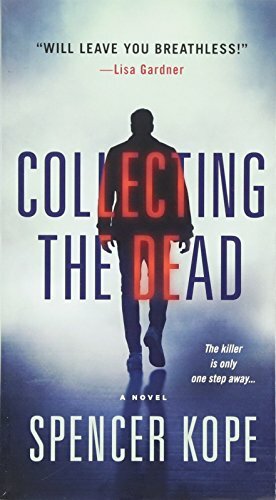 See my review of Collecting the Dead. I received After Atlas through a Tor.com giveaway. It is a police procedural set in the future following Carlos Moreno as he attempts to solve the mystery surrounding the death of a well known individual. There is a cyberpunk aspect to it with some interesting tech. I really enjoyed the character development. This is the second book in this world (Planetfall was the first), but reading the first book is not necessary to enjoy this one. 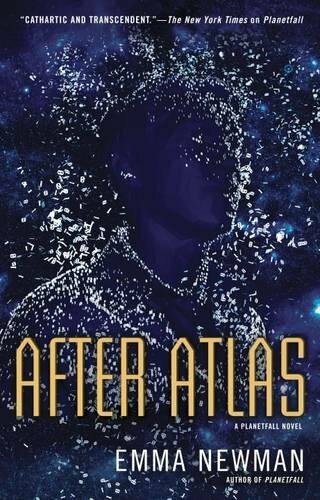 Check out my longer review of After Atlas. 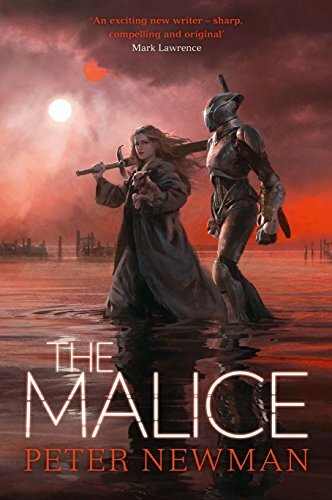 I received The Malice through a goodreads giveaway. This is the second book in a series that began with The Vagrant (which I received through another goodreads giveaway). These are dark tales of a post apocalyptic land where a breach has opened, spewing out a whole range of terrible creatures. The first book followed the Vagrant as he found and carried the great sword, Malice, back to the Shining City. The Malice follows the Vagrant’s adopted daughter, Vesper, as she hears and follows the call of the sword, carrying it back to the breach. There is a third book in the series, The Seven, which I have not yet read. 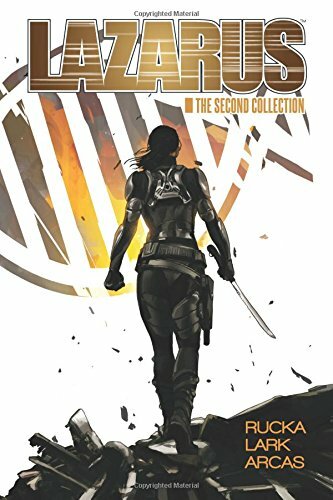 Lazarus is a comic book series written by Greg Rucka. I’ve read several of his other series and also a couple of his books. Needless to say, I really enjoy his work. This is the 2nd volume of collected works from the series packaged together in a nice hardcover edition. Pick up the first collection before getting into this one. The story is set in the future and follows Forever Carlyle, who is the Lazarus of the Carlyle family, defending her family from harm but also learning her family may not have always been honest with her. Can’t wait to read the third collection, whenever it comes out. Ashby, played by Mickey Rourke, is a retired CIA assassin with only months to live who unexpectedly befriends a new kid in town who wants to interview him for a school project. Things get a little out of hand. Train to Busan is Korea’s answer to the zombie apocalypse film. Most of it takes place on a train heading to Busan with a father taking his young daughter to see his mother. It was really well done and appealed to me far more than most zombie films. The original German title for this film is Offline: Das Leben Ist Kein Bonuslevel, which Google translates as Life is Not a Bonus Level. The movie isn’t rated all that highly but I really enjoyed it. It might appeal to some of the gamers out there as it’s about a group who play an online role playing game, flipping back and forth between scenes in the game and scenes from real life. Yes, it was corny and quirky, but I enjoyed it. It reminded me vaguely of Hackers, another corny film I enjoyed. This Korean film tells the tale of a sick girl whose family moves to the country to help her heal. 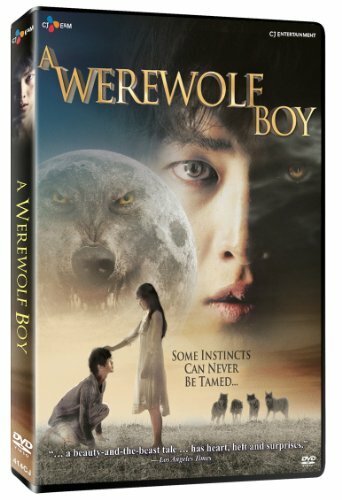 But when they arrive they find a wild boy who appears almost more of an animal. This movie was very different than I had expected. It had a lot of heart and a great sense of humor. I enjoyed it far more than I expected to. 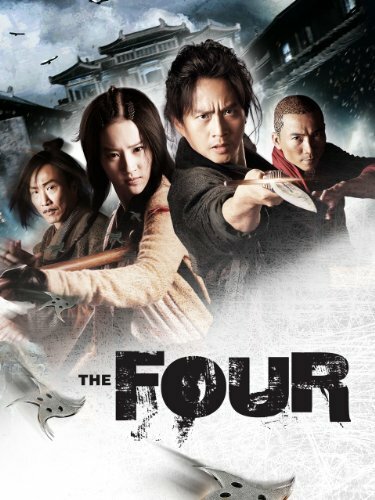 The Four is a fun Chinese movie with a cast of characters with special abilities that help them in their roles as constables. It’s full of special effects and the over the top martial arts action sequences that draw me to this sort of movie. This was a beautifully told story based on a Japanese folk tale. It was a sad story in some ways, but also very entertaining. I enjoyed the style of animation, very different from the majority of other anime out there, and different from other Studio Ghibli films you might have seen (such as those by Hayao Miyazaki). 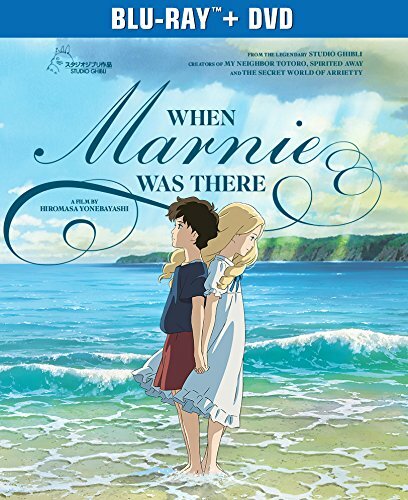 Another beautiful movie from Studio Ghibli about a young girl who doesn’t fit in and is taken to the country to spend time with relatives and hopefully benefit from the cleaner air. I don’t believe I’ve ever seen a movie from Studio Ghibli I didn’t enjoy, and this one is no different. 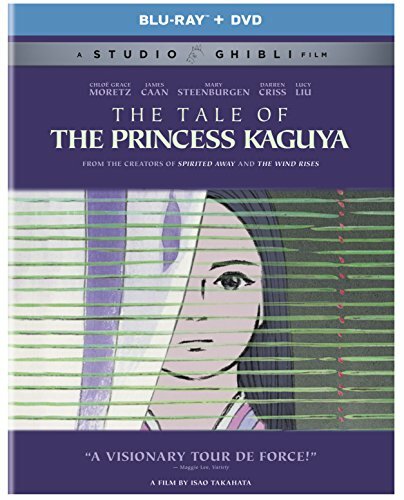 The animation is more akin to what you might expect than was that of The Tale of Princess Kaguya. But both are beautiful films. I have enjoyed every Makota Shinkai anime I’ve watched. The Garden of Words was such a beautiful and sad story, as so many of his other works are. It’s the story of a couple of lonely people who meet one rainy day and slowly get to know one another and begin looking forward to the next time they meet. Check out Makota Shinkai’s other works, such as The Place Promised in Our Early Days, Voices of a Distant Star, and 5 Centimeters Per Second. He is one of my favorite anime directors. 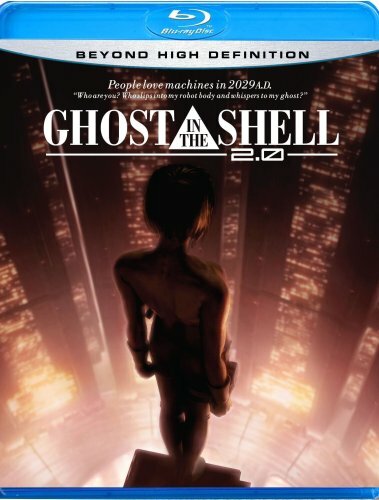 I have always loved the Ghost in the Shell franchise. Ghost in the Shell 2.0 is not a sequel, but instead a remastered version of the 1995 Ghost in the Shell. I loved the original version of this film, and loved this new version, as well. You can see how The Matrix trilogy might have been influenced by this anime and the manga that preceded it. Hollywood has now produced their own live action version of Ghost in the Shell, but I have not yet seen that one. Another film in the Ghost in the Shell franchise, which also included several anime series. 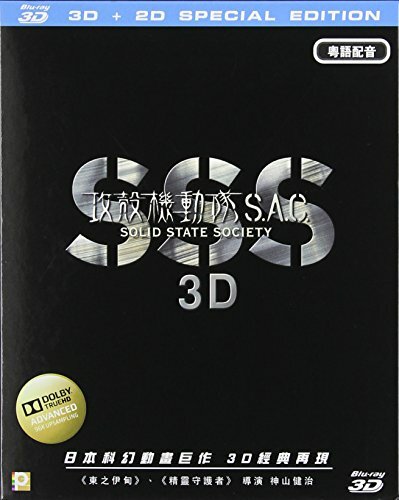 I never tire of these stories of Section 9, part of the police force in a futuristic Japan who handle cases involving technology, computers, AI, and robotics. These can be violent and heavy hitting stories, so don’t confuse them for children’s movies just because they are animated. Tales by Light is a series available (at the time of this writing) on Netflix in the US. 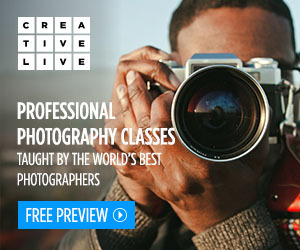 Each episode focuses on a photographer, telling some of their story and showing them work in the field. Photographers include: Darren Jew, Richard I’Anson, Krystle Wright, Art Wolfe, Jonathan and Angela Scott, Eric Cheng, and Stephen Dupont. There are 2 seasons of 6 episodes each. The second season spends 2 episodes on each photographer. This is a very well done series. Check it out if you have access to it. I really enjoyed this documentary about a group of birders who frequent New York City’s Central Park throughout the seasons. 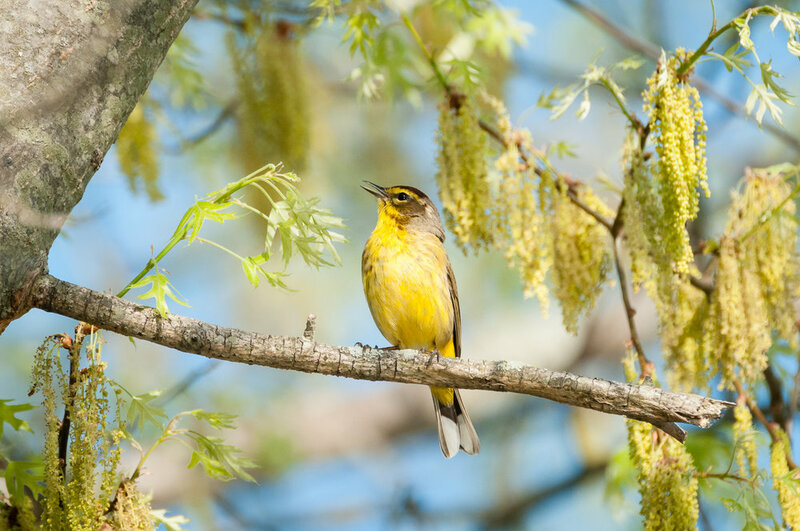 This will likely appeal most to birders or photographers who enjoy capturing images of birds. 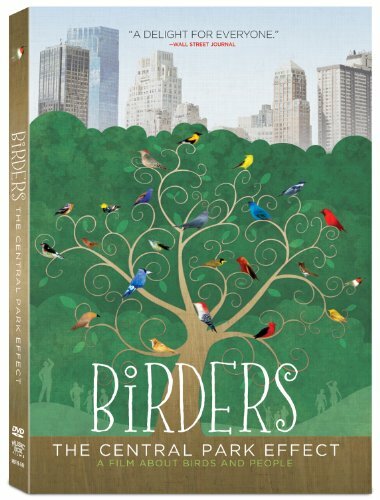 Check out my review of Birders: The Central Park Effect for more details. 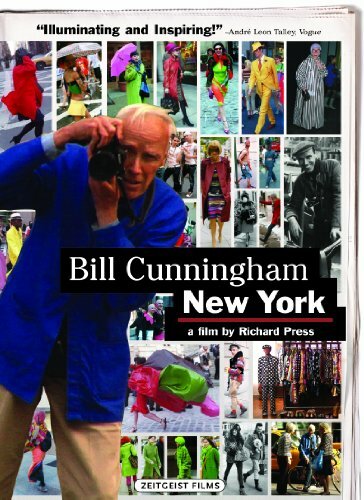 Bill Cunningham was a photographer who captured fashion and street life in New York City. I had not been familiar with him prior to this documentary. Even if you aren’t interested in fashion you might enjoy this film. It captures a very humble but interesting man who died not that long after it was released. See my review of Bill Cunningham New York for more details. 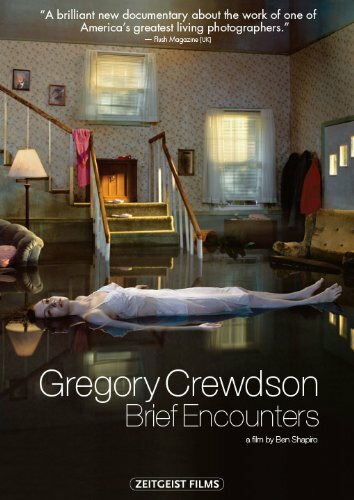 Gregory Crewdson: Brief Encounters tells the story of the creation of Gregory Crewdson’s Brief Encounters body of work. It follows him as he plans and creates several of the photographs. Initially I was not interested in Crewdson’s work, I just didn’t get it. But the more I watched, and the more I studied some of his photos, the more I found myself really enjoying them. His images are small self-contained stories. Look him up if you’re not familiar with his work. 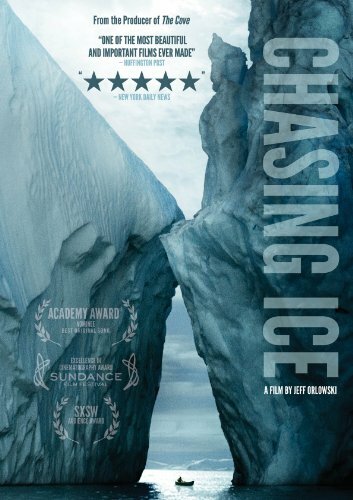 Chasing Ice documents photographer James Balog’s project to place time-lapse cameras around the world to capture changes in the world’s glaciers over time. It is a fascinating story, and a more immediate way of visualizing some of the effects of climate change. Well, those were my favorites of 2017. What were some of your favorites from the year? Well, 2016 is fast nearing its end, so I thought I’d look back and share some of my favorite things from the year. These include my favorites of the images I’ve created and shared, my favorites of the books of photography, fiction, and non-fiction that I read throughout the year, and my favorites of the movies and documentaries I watched. Maybe there’s something new in this list you might be interested in reading or watching. What are some of your favorites of the year? Photographically, 2016 felt like a slow year for me. Lightroom tells me I created over 4000 images this year, which seems like a large enough number, but in the past I’ve broken 15,000 images in a year. Granted, it’s not the number that’s important. I didn’t get out as often on the weekends this year, which is something I would like to improve on in 2017. I did, however, go on a week long vacation, something I’ve not done in quite some time. My father and I travelled to Maine, spending some time in and around both Portland and Acadia National Park. Maine is such a beautiful state, half of my favorite images of the year were from this trip. Click on any of the images in the gallery below to view the blog post the images appeared in. The rest of this post contains affiliate links and I will be compensated if you make a purchase after clicking on my links. This is at no extra cost to you. 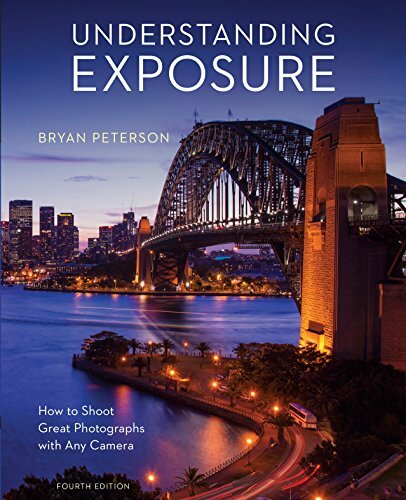 I learn a lot from viewing and studying other photographers work, so I enjoy adding photography books to my library. In the beginning most of the photography books I purchased were instructional books, and I do still purchase (or in the case below, win) these. But increasingly I’ve been purchasing larger format monograph books that showcase a single photographer, or in some cases multiple photographers, work. I love to study the photographs, trying to determine what it is I like, or dislike, about them. I think a lot can be gained by immersing yourself in, and learning from, the work of others. 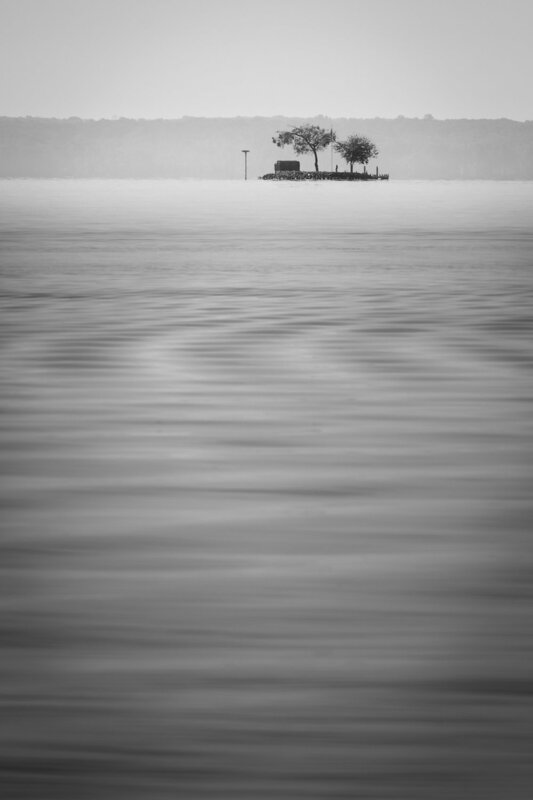 I love Michael Kenna’s black and white photography. It has such an amazingly moody look to it thanks to his use of fog, snow, smoke, and those great times of day when the light is just right. 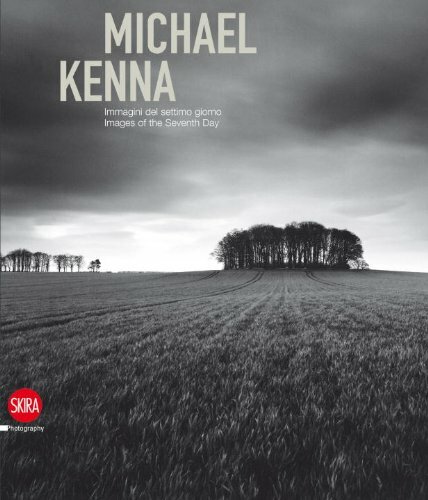 See my blog post for a full review of Michael Kenna: Images of the Seventh Day. Sebastiao Salgado creates very striking and bold black and white images of subjects it’s easy to become passionate about. In Genesis he seeks out those last remaining wild places, looks for the people of the world still living a more traditional lifestyle. He seeks to show it’s still possible for these places to exist. 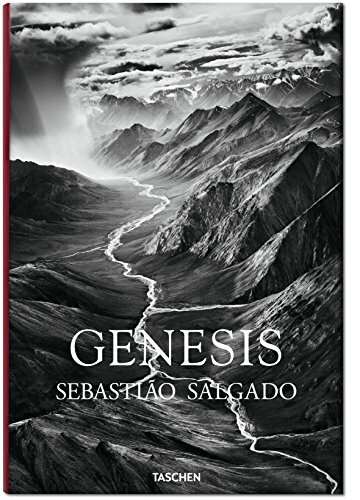 See my blog post for a full review of Genesis by Sebastiao Salgado. I was lucky enough to win a copy of Food Photography through a goodreads giveaway. This isn’t the typical style of photography I practice, but that’s one of the reasons I liked it. It’s fun to sometimes learn and try other types of photography. 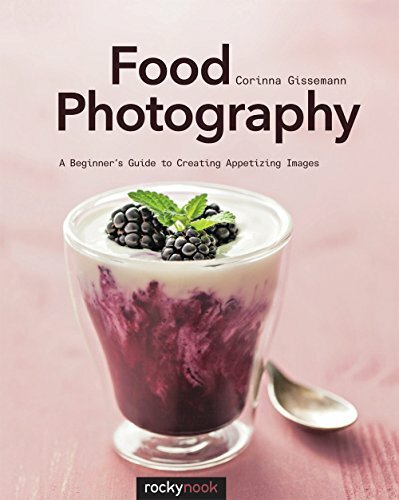 Corinna Gissemann does a great job introducing food photography, describing some of the useful equipment, how to style and arrange food, lighting, and options for post-processing. I have always been a fan of reading fiction, from as far back as I can remember. My folks encouraged me to read, and I’m very thankful for that. I’m most often drawn to science fiction and fantasy novels and stories, but I enjoy books in many different genres, and find I start to get bored if I spend too much time reading one author or genre. So I rotate between genres fairly often, and throw in some non-fiction as well. I find I can easily read fiction and non-fiction at the same time, but I can usually only read a single book of fiction at a time. City of Blades I won through a giveaway at the site, SF Signal, which is sadly no longer active. 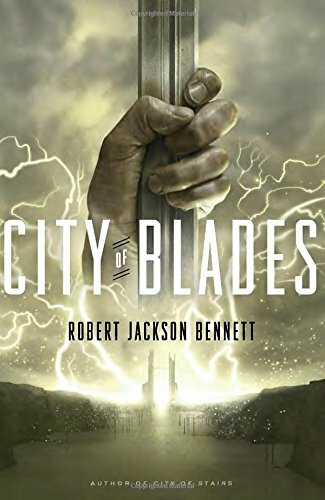 This is the first book I’d read by Robert Jackson Bennett, and is the second book in a three book series. I found I did not have to read the first book to enjoy this one. It is a fantasy story about a world where the Divine, gods of this world, have mostly been killed off by the people. But now something has been discovered that could be a further threat to the people, and a retired general, Turyin Mulaghesh, is called back into service to investigate. She is a fascinating character in a novel full of fascinating characters. I have since purchased the first book, City of Stairs, and look forward to reading both that and the third book, City of Miracles, which is due out in May 2017. I won Pacific Burn through a giveaway at CriminalElement.com. It is part of a series of thrillers about Jim Brodie, an interesting private investigator who is also a collector and antiques dealer of various Japanese antiques. 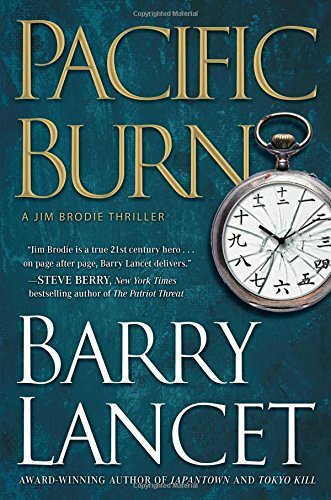 This is the first book by Barry Lancet I’ve read, but I think I’d enjoy others in the series. In this book Brodie must investigate the murder of someone he has personal ties to. The investigation begins in California, but eventually takes him back to Japan, and on a few occasions, Washington, D.C. I really enjoyed the Japanese cultural and historical references and found the antagonist a fascinating character. This was a fast paced book and a quick read. This was a great year for winning giveaways. I won Lagoon through a giveaway at Tor.com. 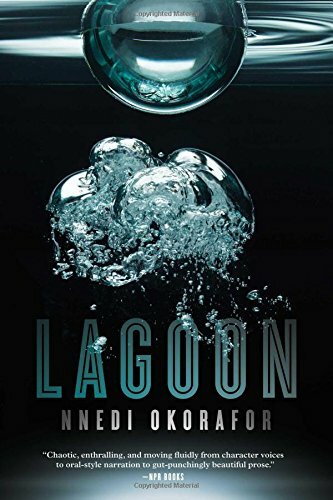 Lagoon is a science fiction story about first contact, which takes place in Lagos, Nigeria. I found this a refreshingly different book, both in setting and in style. As with my other favorite books of fiction this year, Lagoon was the first book I’d read by this author. I enjoyed it enough I later purchased Who Fears Death and Binti. Lagoon is a reasonably short book, and one I had a hard time putting down. I loved the different characters and how they were all pulled together through the unusual circumstances. I found myself occasionally reminded of the works of Neil Gaiman. I look forward to reading more by Nnedi Okorafor. When I was younger I almost never read non-fiction. But as I get older I read more of it each year. As with fiction, I enjoy many different types of non-fiction, from books on writing and other arts, to those on investing, self-improvement, history, and most anything else. One of the books below is an audio book. I don’t read audio books very often. I am more easily distracted when listening to a book. And with fiction, having someone else’s voice reading the book, especially if they try to make it a dramatic reading, is frequently distracting. But non-fiction, for whatever reason, is different for me. So most of the audio books I have read thus far have been non-fiction. On Writing is not a new book, but I finally got around to reading it this year. 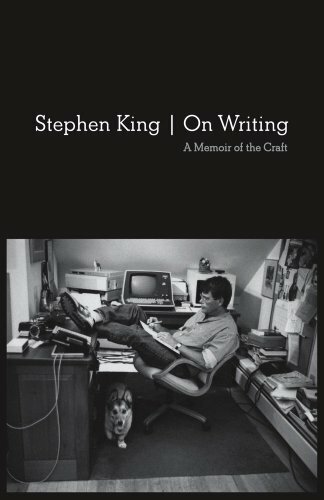 Part of the book is memoir, where Stephen King shares a bit of his history, how he began writing, what his earlier life was like. The other part of the book is condensed writing instruction, where King shares what he has learned about the craft and teaches how to produce better work yourself. So really, there are two potential audiences for this book, those who want to learn more about Stephen King, and those who want to learn to improve their writing skills. Great book. I won my copy of Braving It through a goodreads giveaway. 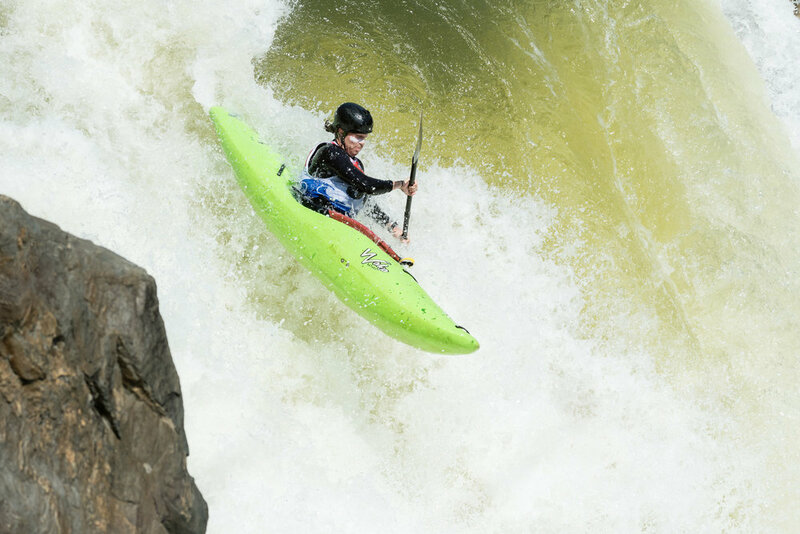 Braving It tells the story of James Campbell and his daughter, Aidan, as they journey to Alaska multiple times. He has always been an outdoorsman who loves to travel, and his daughter wanted to one day join him. When she was old enough they went to Alaska. 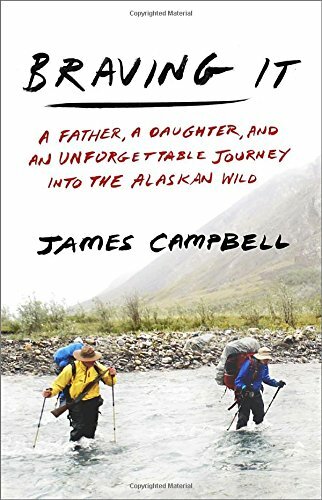 This is a very touching book, showing the changing relationship between farther and teenage daughter as they experience some of the rougher sides of Alaska. 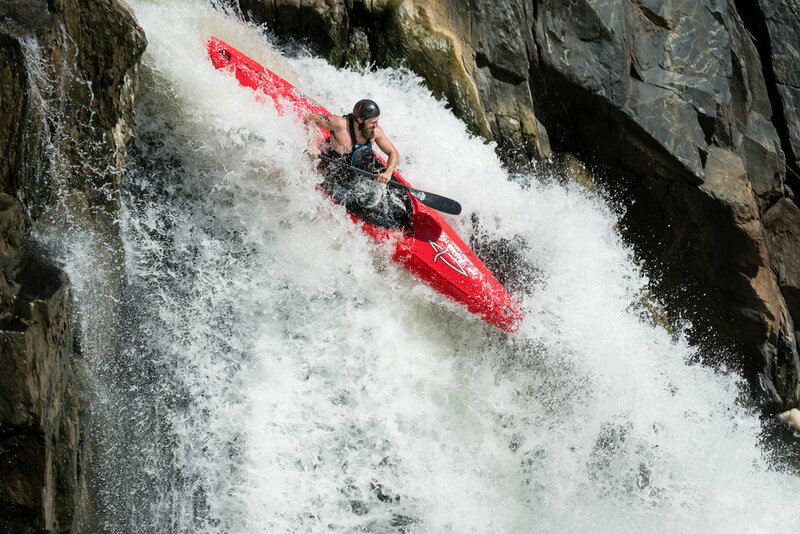 For a full review see my blog post on Braving It by James Campbell. 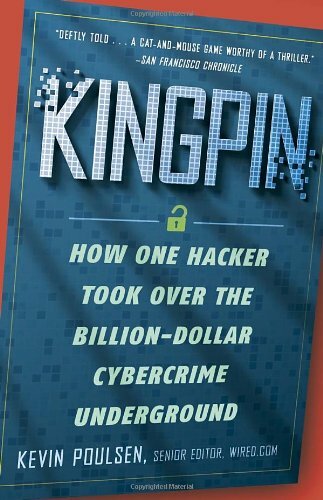 In Kingpin, Kevin Poulsen, a former hacker, tells the story of cybercriminals, people who steal and sell stolen credit card numbers, identities, and other easily exchangeable assets. He describes the rise and fall of individuals in the underground, and the FBI’s continuous pursuit of the criminals and their networks. Fascinating read, or in my case, listen, as I listened to the Audible version. Eric Michael Summerer does a great job at narration. I rarely watch TV shows anymore, but I still really enjoy sitting down to a good movie. And as with books, I enjoy all sorts of movies. Below is a typical mix for me, though I’m surprised there isn’t anything from the speculative genres, such as science fiction, fantasy, or horror. I don’t know if I didn’t watch as much of that this year, or if I just didn’t enjoy what I did watch as much as those below. In any case, I really enjoyed the movies below. This was a beautiful movie about Ben, a person overcoming his own life altering hardships, who decides to become a caregiver, perhaps as penance. He finds himself working with Trevor, a wheelchair bound teen with muscular dystrophy who is very set in his ways, but who has a great sense of humor. Eventually Ben and Trevor head out on a road trip to help Trevor live a little more. 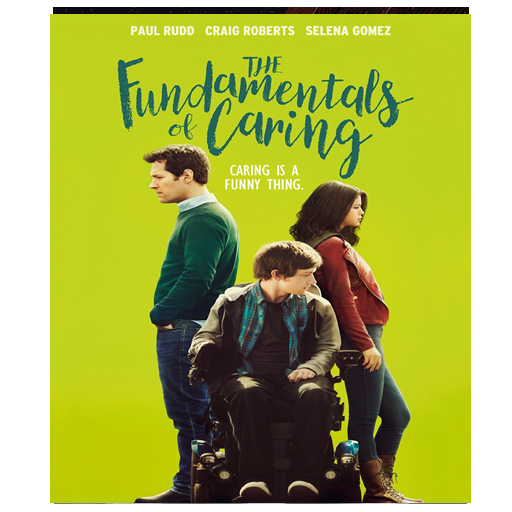 It’s a movie about hurting, healing, and forgiving, and is full of heart and humor. 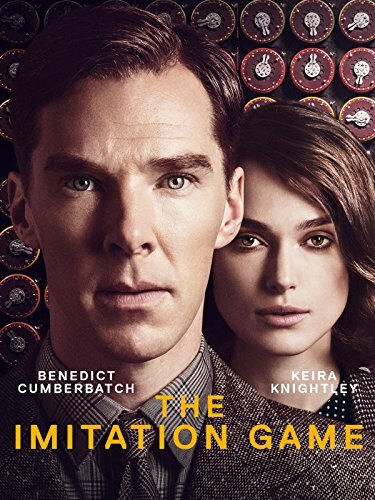 This movie is based on the life of Alan Turing, who helped Britain build a machine to decrypt messages encoded with Germany’s Enigma machine. This helped change the war effort, and also contributed greatly to the advance of modern computers. Benedict Cumberbatch does a great job in the role of Alan Turing. 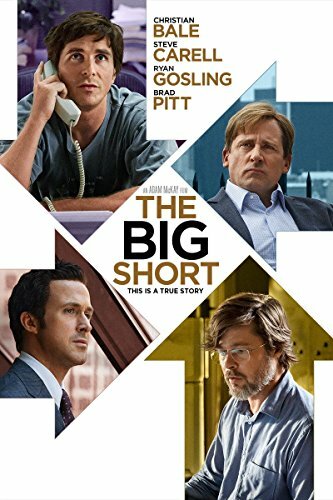 The Big Short chronicles some of the events surrounding the 2007-2008 collapse of the credit and housing bubble. It’s a really well done movie that adds just enough humor to what is otherwise a serious and troubling look at some of the problems in the financial world at that time. Some of the cast includes Christian Bale, Steve Carell, Ryan Gosling, and Brad Pitt. 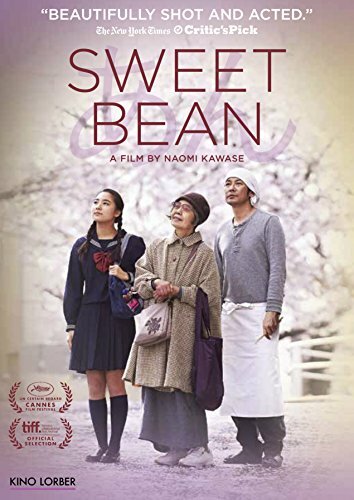 Sweet Bean was a very touching Japanese film about a man who works at a doriyaki pastry shop, a young girl who frequents the shop, and an older woman who one day shows up asking for a job. 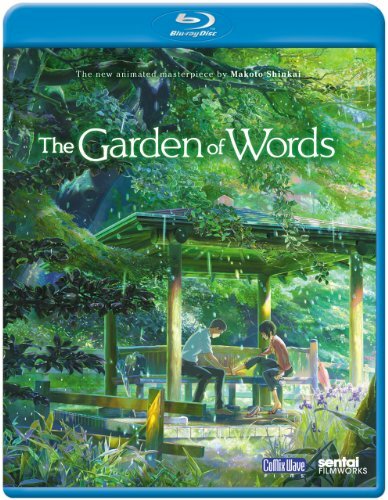 I found this a beautiful movie, seeing the interactions between the three very different characters, learning their backstory, and a little history of that part of Japan. It was a sad movie, in some respects, but very well done, and one that ends with a hopeful air to it. Highly recommended. The Wind Rises is an animated film by Hayao Miyazaki, a master at his craft and someone I will miss now that he has retired. I have never seen a Miyazaki film I did not enjoy. 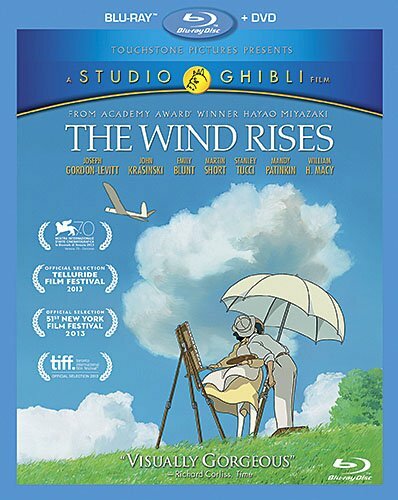 The Wind Rises tells the story of Jiro Horikoshi, the designer of the Zero fighter plane used in World War II. As with all of Miyazaki’s works, this one has beautiful animation, is full of emotion and subtlety, and leaves you wanting more when it comes to an end. I highly recommend any of Miyazaki’s films. As with non-fiction books, I like to add in some documentaries between the movies I watch. I don’t watch many, but over time I have been watching more. I often search through Netflix for any new photography related documentaries, but also occasionally watch documentaries on other topics. Photographer Nicholas Vreeland was born into a high society world, surrounded by wealth and fashion (he is the grandson of Diana Vreeland). But at some point in his life he had a change of heart and moved to India to train as a Buddhist monk, and eventually became abbott of a monastery. 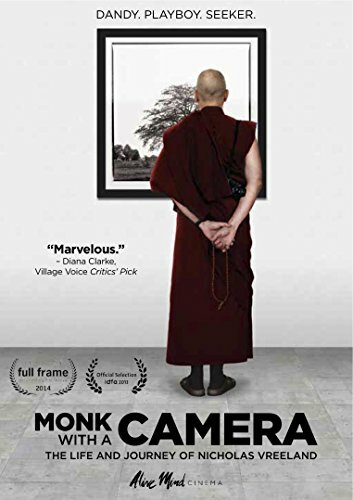 The documentary touches on the conflict he felt as he embraced the lifestyle of Buddhism but was also encouraged to continue to pursue his photography. Tim Jenison may not be a household name, but those into technology or computer video may recognize some of the products he’s been involved with, such as Video Toaster, TriCaster, and LightWave 3D software. Tim has always been an inventor, and has always had an interest in art. 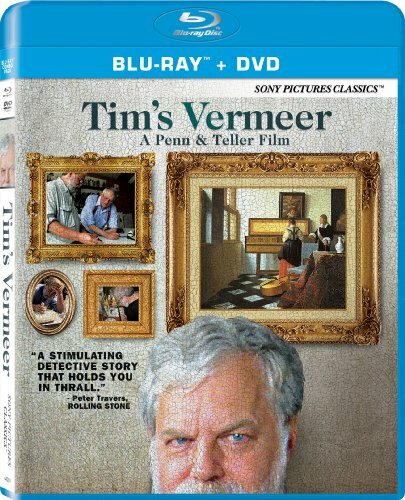 In the documentary he ponders how Johannes Vermeer was able to create such life-like paintings, far more realistic than his contemporaries. Tim was familiar with some of the current theories, but had an epiphany of his own that might explain Vermeer’s work. If true, Vermeer might have been part photographer and part painter. Fascinating documentary. Well, that about wraps up 2016. I hope you all have something positive to remember from the year, whether something you read, watched, wrote, painted, photographed, someone you met, someplace you visited, or something you felt or experienced. And I hope the New Year brings you more opportunities for positive memories. Here’s to 2017!